I meant to post this recipe idea before the holidays, but well, you all know how that goes. 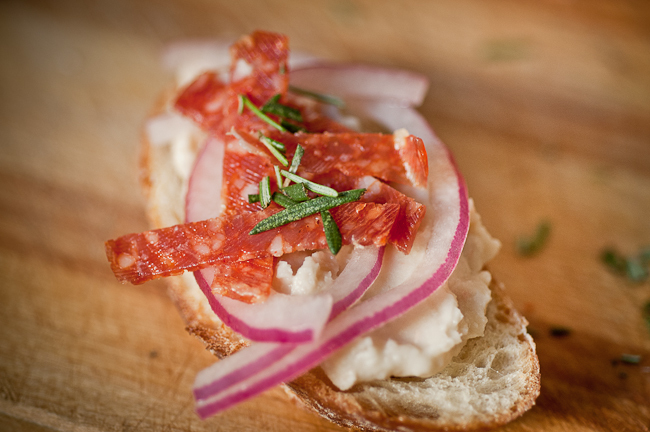 This simple crostini idea is great because you can whip it up in just a few minutes. 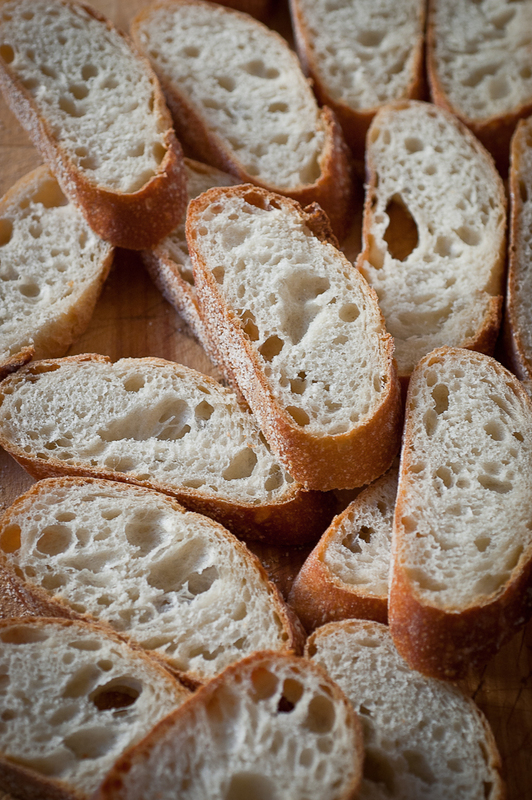 What I liked best about this crostini is that I only toasted one side of the bread, making it easy to bite into. 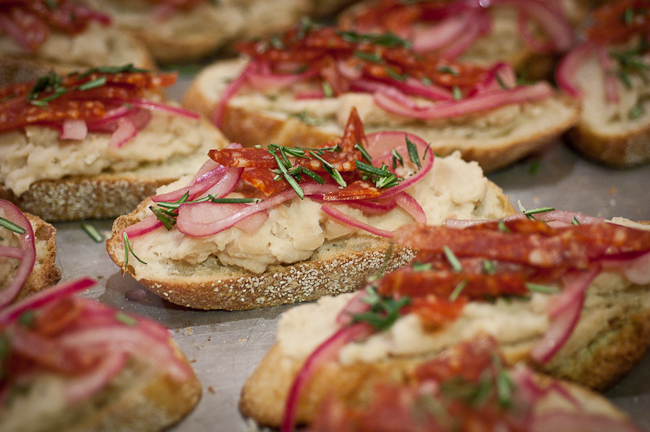 One can of Cannellini beans whipped with some garlic and red wine vinegar is all I used to make a spread. I little salt and pepper finishes it off. 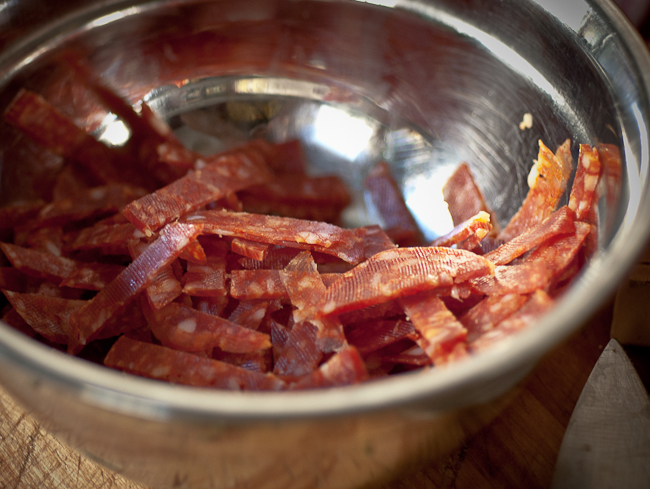 Spread on the toast and topped with marinated onions and salami sliced into small matchsticks is the final step to making these simple snacks. I’ve been a bit obsessed with simple salads and preparing single ingredients in the most simplest of ways, and this idea came from a Cannellini bean salad that contains the same ingredients. Thanks Ciara. It is a truly simple recipe. Hope you like it! 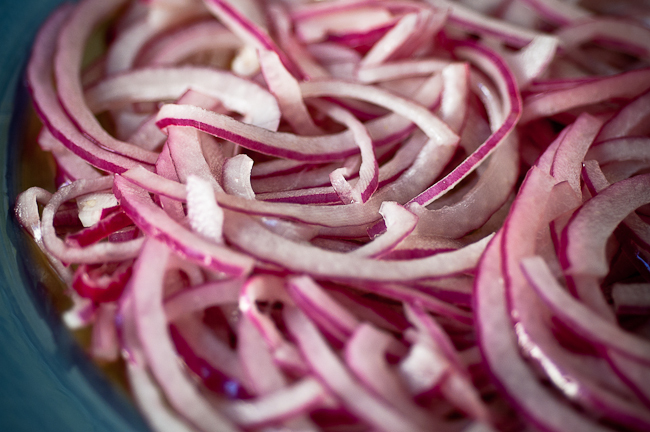 this is a interesting recipe, speciall for the purple onion, I love to use this kind of onion, give a different flavor to the food. That looks really tasty. The fact that it seems easy to make just got me even hungrier. I love the combination of flavors – those creamy beans with the slightly ytart artichokes and the herbs. Always looking for more bruchetta toppings. Adding the tomato and parsley for more color was a scrumptious idea.